Harnessing the power of “black girl magic” , history has been made because for the first time in U.S Open history there are three black women who will advance to the quarterfinal rounds— might I also add, they’re all American. 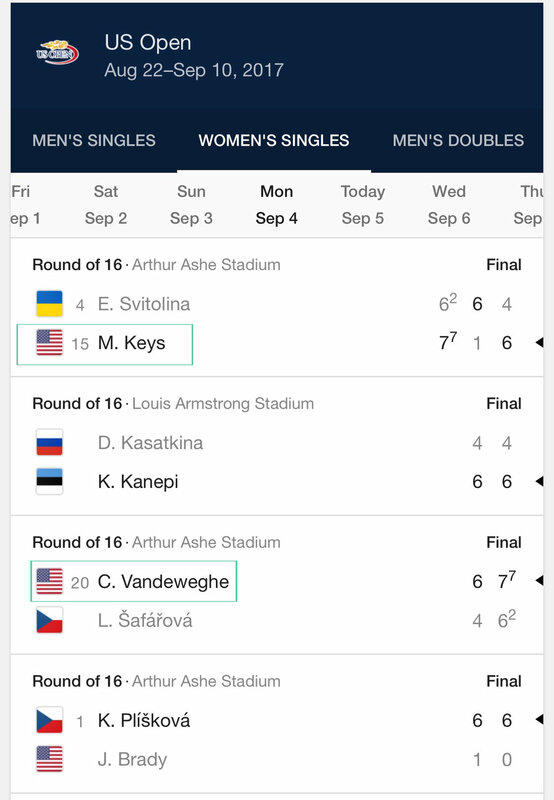 That's huge seeing as though this is the first time since 2002 that America has had (4) women in the quarterfinals; Coco Vandeweghe is the 4th US participant to reach the quartefinals. Venus Williams , Sloane Stephens & Madison Keys are all set to battle it out on the field for the prized Tiffany-engraved trophy. And I for one , can’t be more excited! Williams and Stephens were able to secure their quarter-final spots Sunday night by gaining victory over Carla Suarez and Julia Gorges, respectively ;Keys earning her place by defeating Ukraine’s Elina Svitolina on Monday evening. The only other person that could make this history-making feat even sweeter is Tennis powerhouse Serena Williams, but as we all know she’s at home with her beautiful newborn daughter. 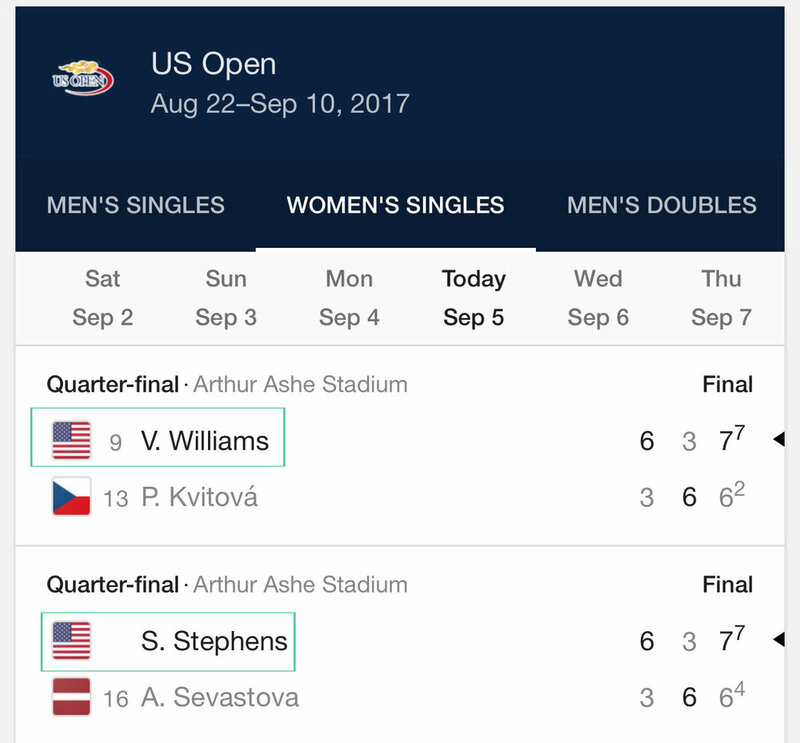 Update: As of Tuesday evening , Venus Williams and Sloane Stephens are headed to the semi-finals. 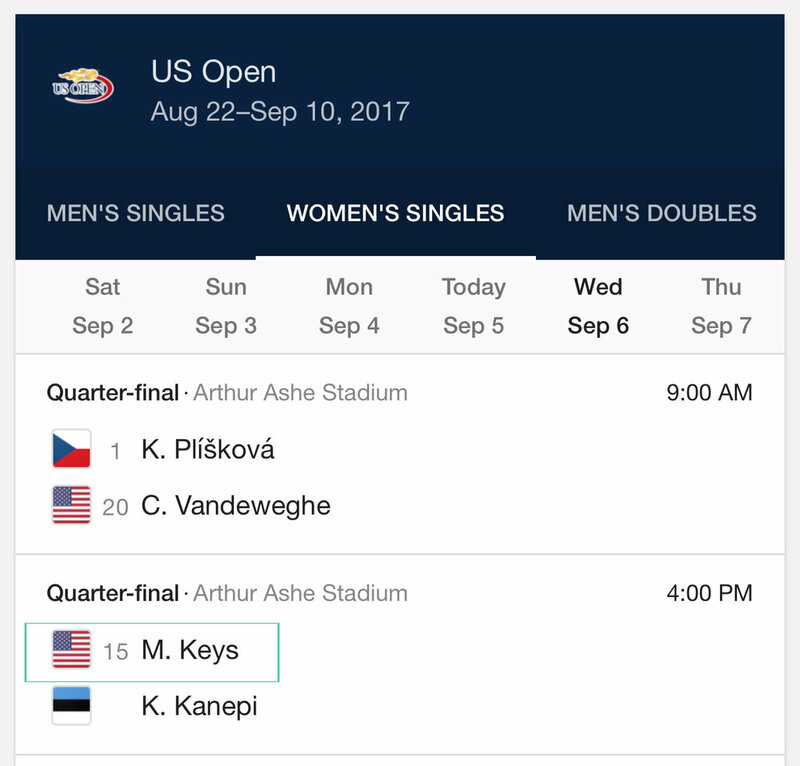 Madison Keys will attempt to join the crew when she plays quarter-finals on Wednesday. Let’s send our girls our best wishes ! Go get it y’all!